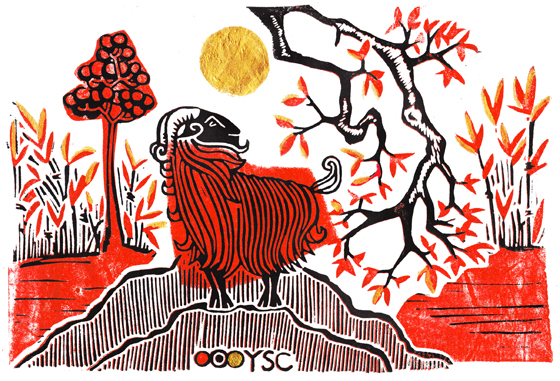 Becca Thorne Illustration: Happy Chinese New Year 2015! Happy Chinese New Year 2015! Happy Year of the Goat! YSC commissioned me to create this illustration for their 2015 Chinese New Year e-mailer (I did their Year of the Horse mailer last year too). Here's to a happy and prosperous new year. Salut!